Park Ok-soon was born in 1938. Forty-five years ago, when “everyone was poor”, she took a small bag of homemade chili powder to Seomun market to eke out a lifeline for her struggling family. 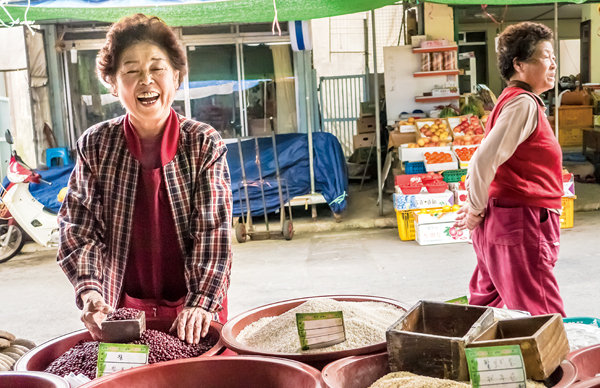 She recalls how Jeju lacked the kimchi culture of the mainland in those days due to the warmer winter temperatures, which enabled a greater variety of crops to be harvested. Today kimchi is eaten globally and Seomun Chili is one of biggest producers of chili powder on the island. 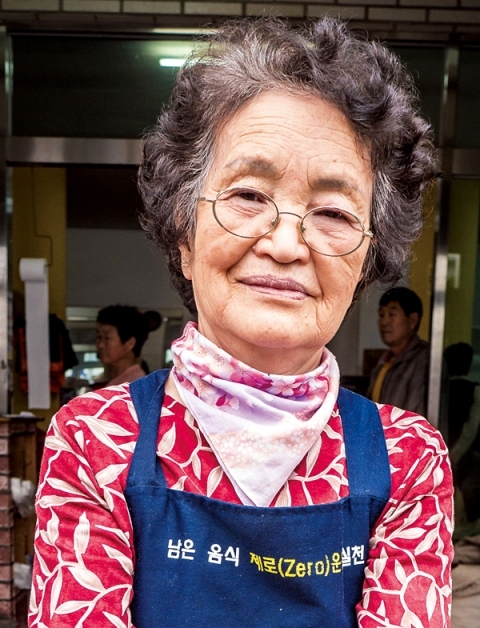 Ok-soon has five children and three generations of her family work for her business at the same spot where she sold her first chili almost half a century ago. What do you think about the new, “fake” Chinese gochu, with added color? As a child, Kim Soon-bok was disabled by polio and received little formal education. When her father passed away at a tragically young age, she was forced to sell fish at Seomun market with her mother. The coins she scraped together enabled her younger brother and sister to continue their schooling, at the expense of her own. Entirely self taught, Soon-bok began making hanbok in the market and her business soon flourished. 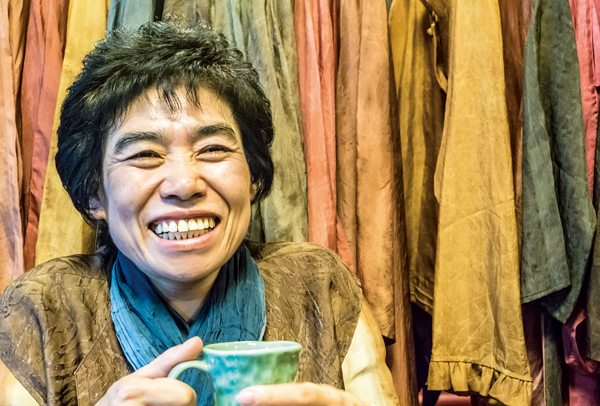 She now conducts yearly fashion shows, attended by models and celebrities, displays her creations in Insadong boutiques and manages a shop on the same market lane she was first dragged to by her mother as a little girl. How can you always be so positive, happy and smiling? Unable to grow locally and expensive to import, rice was a precious commodity when Kang (79) started work in Seomun market 41 years ago. After her husband’s sudden passing, she successfully founded her own rice-selling business, enabling her to raise a family singlehandedly. How do you manage to look so young? Im moved to the island in the 1970s and was compelled to run a market restaurant by the persistent exhortations of her husband’s family. Forced to sleep in the restaurant, ravenous students woke the family each morning, pleading to be fed. Im persevered and, although the students are long gone – Jeju National University having relocated – the resolute Im and her restaurant remain. What do you remember about the early days? 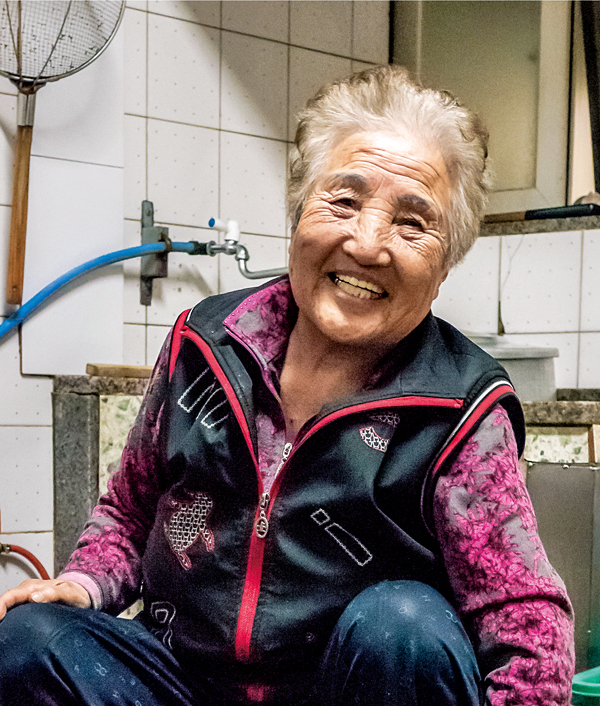 Kim moved to Jeju from Japan in the 1940s and began cleaning in Seomun market at the age of 29. At 43, she established a sundae (blood sausage) business using butchers’ leftovers; she now wholesales to markets and restaurants island-wide. 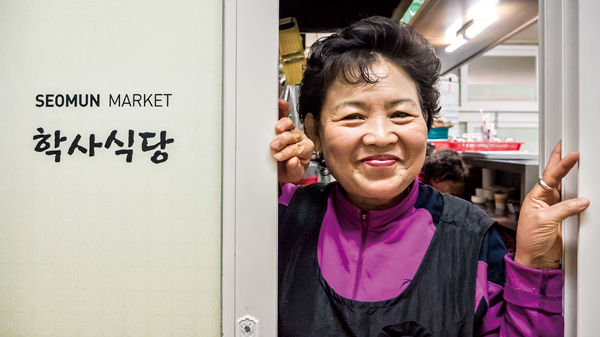 At 85, she continues to sleep in a cramped corner of the market and has turned off the Seomun lights every night for over half a century. What did you tell your son when you handed him the business?